The Faraday cage is named after Michael Faraday, who first demonstrated electric shielding, in which hollow conducting shell shields the area inside from external electric fields. We call such shells Faraday cages. The cage can be any size or shape and made of any conducting material. If it has holes in it, or is made of screen material, it will still work -- just not perfectly. An external electric field causes electrons in the Faraday cage to shift around until their electric field cancels the external one inside the shell. However, you can create electric fields inside the shell that will be felt outside. A Faraday cage also greatly reduces electromagnetic radiation, such as your cell phone uses. Faraday cages have many practical applications, such as shielding sensitive electrical equipment. 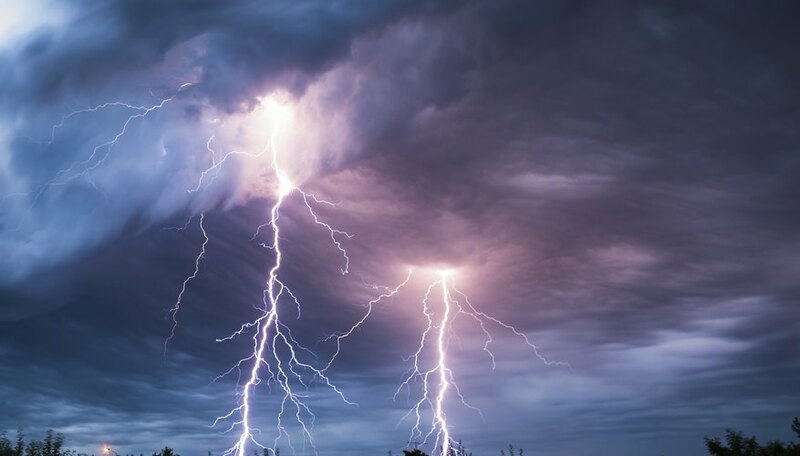 Your car protects you during electrical storms by acting as a Faraday cage. However, a Faraday cage can be impractical as well. Buildings that have a lot of metal in the walls can block cell phone reception. Seal one phone cell phone in the plastic bag. You don’t need to do this if you have a case that fully encloses your cell phone. Fold up that phone in a sheet of aluminum foil, but don’t make a complete seal. Call the wrapped-up cell phone from the outside one. If the foil is not sealed, the inside phone will ring. Unwrap the phone and turn on its wireless broadcast signal. Check that your computer or other phone can receive the signal. Wrap up the phone making a complete seal. The signal may be diminished because the phone is broadcasting electromagnetic radiation, not a static field. But the signal should still be visible. Note that you will not be able to connect to the wireless signal, because that requires two-way communication. Cut the flaps off of one end with the utility knife, and also cut a small window in the side of the box close to the intact end of the box. Cut a sheet of thin plywood or thick cardboard to a size big enough so that when placed over the end of the refrigerator box, it sticks out approximately six inches on each side. Wrap the box in aluminum foil. If you can, carefully and thoroughly crimp the edges of individual sheets together. Otherwise, tape carefully. It is essential that good metal-to-metal contact be made everywhere. Wrap the aluminum foil around the edges of the window as well as the open end. Wrap the piece to go over the end in aluminum foil as well. Cut the aluminum screen with the utility knife to a size about two inches larger than the window you cut in the side of the box. Tape the screen around the window, making good contact with the foil. Have a person stand on the foil-wrapped sheet. Lower the box over that person. Place books or other heavy items on top of the box to help push the foil on the edges down against the sheet. Have a second person rub a balloon on his hair until it makes his hair stick out. Then have him hold the balloon close to the hair of the person inside the box, but without touching the box. The hair of the person inside the box will not be attracted to the balloon. Have a person inside the box rub a balloon on her head and try to attract the hair of a person outside the box. The balloon inside the box will attract the hair outside the box. The point of a Faraday cage is that it is a complete shell. Make sure you fold the aluminum foil around the cell phone so there is contact everywhere. Make sure you have good contact when taping sheets of foil together. Two working cell phones, one with the ability to be a "hot spot"
The Survivalist Blog: Build Your Own Faraday Cage. Here’s How. Balter,, Ariel. "How to Build a Faraday Cage." Sciencing, https://sciencing.com/build-faraday-cage-6618709.html. 25 April 2017.